Create your desired style with Blind Barber's 101 Proof Classic Pomade; a water-based formula that delivers strong, flexible hold and a high-shine finish. 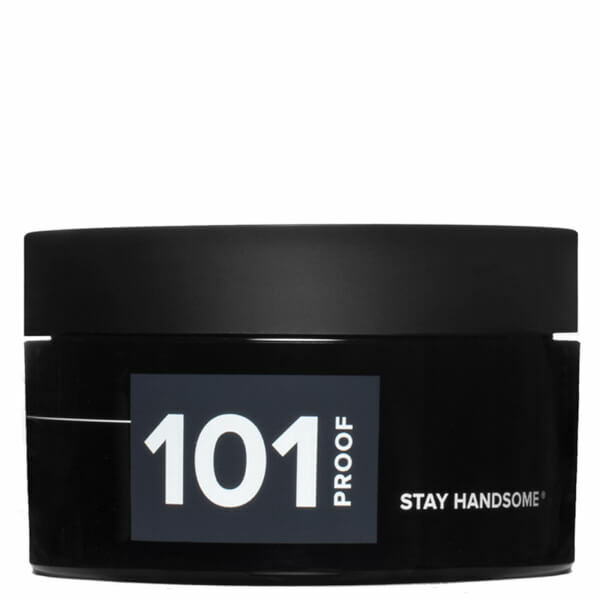 Infused with Hops and a light Tonka Bean scent, the styling pomade creates body and volume, whilst defending against dandruff to leave you feeling confident around the clock. Ideal for slicked back, tamed looks. Rinses out easily. Water/Aqua/Eau, Ceteareth-25, PEG-7 Glyceryl Cocoate, PVP, Polysorbate 20, Propylene Glycol, Caprylyl Glycol, PEG-7 Hydrogenated Castor oil, VP/VA Copolymer, Humulus Lupulus (Hops) Flower Extract, Phenoxyethanol, Fragrance/Parfum, Sorbic Acid, Linalool, Hexyl Cinnamal, Cinnamyl Alcohol, Butylphenyl Methylpropional, Glycerin, Coumarin, Alpha-Isomethyl Ionone, Citronellol, Limonene.